Living the life of luxury with a Hyrule Fantasy! There is no doubt about it, when it comes to NES games, they hard as hell and their difficulty, is part of their charm and one of the hardest games, was The Legend of Zelda. First released on February 21, 1986 in Japan, the game soon built up a following and before you know it, it’s a little over 32 years later and Zelda isn’t just a single game, but an entire series that has plenty of spin-offs. Its popularity might not be on the same level as the Mario franchise, but it’s still a much talked about franchise and as far as the game that kicked it all off, we still can’t get enough of it! 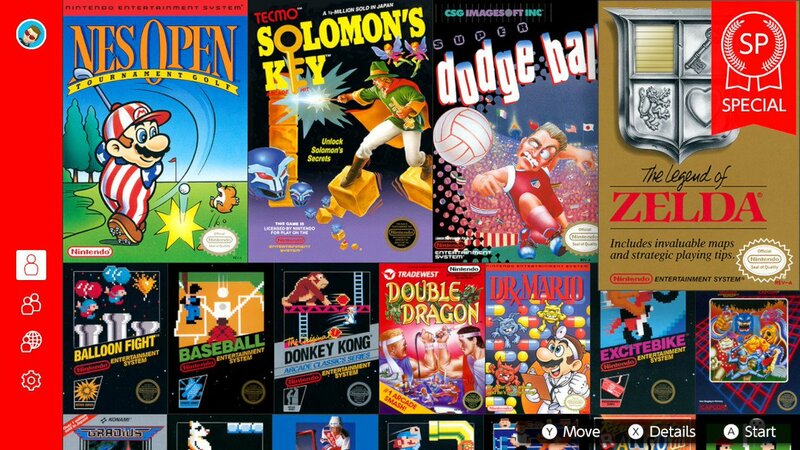 So, perhaps it’s a good thing that the classic game was made available as part of the launch line-up of NES games, as part of the Nintendo Switch Online service, only Nintendo has not stopped there. For the subscribers who find the original Zelda a little too difficult, a solution has been provided. Being the diehard Zelda fan I am, when playing, I did find it extremely odd starting a Zelda game, already equipped with almost all of the good stuff, as they really do make the game a lot easier and more approachable for players who were previously put off by the game’s original difficulty. However, just because this special version is easier to get into it, it doesn’t mean all difficulty has been removed, as there are plenty of rooms in dungeons where you will be locked in and forced to kill various enemies, in a bid to win your freedom and advance further down the rabbit hole. Due to changes, for some, The Legend of Zelda will now be a cakewalk, especially for speedrunners, whom I can only assume will set all kind of records, but for most who play it, it will at least offer 4-6 hours of old-school gaming and at least twice that if you opt to do a Second Quest playthrough, which will see Link having to do without all the power-ups and a wallet full of rupees. As for how the game actually plays and handles, since it is a game over 30 years old, I’m not going to go overboard with all the details, since it should be irrelevant, but I will cover some things, such as performance. Despite essentially being a rom running on a superior platform, the special version of The Legend of Zelda, actually does suffer from slowdown issues, especially when in dungeons and the room you’re in, is full of enemies. Sure, the gameplay and general gameplay mechanics might be old-fashioned now, but at the time of the game’s release, the dungeon and open world exploration element, was revolutionary and many of the game’s features would then be expanded open, thus paving the way for a lasting franchise to take form, as well as define genres and act as an inspiration for hundreds, if not thousands of games that released since 1986. On the off-chance you are new to Zelda, or just the original game, and could do with knowing a bit about the game, here goes. The Legend of Zelda takes place in the kingdom of Hyrule, which is under attack from Ganon and his army. With Ganon having claimed the Triforce of Power for himself, Princess Zelda takes the Triforce of Wisdom and breaks it into 8 fragments that are then secreted away in dungeons and are heavily guarded by monsters, which include giant beasts. Only none of that is actually mentioned in the game, as those details come from the game’s instruction manual that came with the original release. The game also fails to mention the fact that prior to being kidnapped, Princess Zelda commands her nursemaid Impa to find someone who is courageous enough to save Hyrule. It is only during her search across the land that Impa actually happens upon a boy called Link, who saves her after she is surrounded by monsters. She then tells him of Hyrule’s plight and what he must do and it is here, where the game can actually begin. It is from there that players are tasked with wondering Hyrule, attempting to locate all 8 dungeons so he can conquer them, defeat the bosses and claim all the Triforce of Wisdom fragments for him, before heading to Death Mountain to gain access to the game’s ninth dungeon and have his epic showdown against Ganon. Originally, with the initial version of the game, players would need to enter a cave, where an old man would give him a sword for free (“It’s dangerous to go alone, take this!”) before setting off to attempt to find the dungeons, which he can obtain items from such as bombs, a bow with arrows, a candle for burning bushes and more. By using these items, he can open then venture further afield and keep going until his quest meets its heroic end. Yet, in the first quest playthrough of The Legend of Zelda SP, with the majority of items and weapons already available to him, Link and the player don’t need to worry about following the normal means of progression. With the exception of a couple of dungeons, Link is pretty much free to go wherever he wants 80% of the time. Essentially, although the SP version will treat you with an easier playthrough, the fact of the matter is, it is still an old-school Zelda that is worth experiencing if you have never had the pleasure before. The soundtrack continues to be ageless, the pixel art is easy on the eye and those save slots are a total dream. Sure, you’re only be limited to 4, but that just means you can do 4 playthroughs on a singular account. That’s not everything though, since there is one last thing to bring up and that’s the online play. With the Nintendo Entertainment System – Nintendo Switch Online games having online support, players questing through Hyrule can have a friend join them. While some might see this special version of The Legend of Zelda, as something of a downgrade, thanks to this particular version and the portability of the Switch, the original Zelda game has never been so openly accessible. Not only can you explore Hyrule on the go, but for a lot of you, you will actually get your chance to beat The Legend of Zelda once and for all. Sure, it’s a handicap game, but it still counts and if you play it and feel like it’s not enough, you can always embrace a Second Quest playthrough, and play the game as it was intended. But, if you are well-versed in the original game already, although we’d never tell someone not to play Zelda, you would be better off sticking to what you’re used to since this version can only offer you a slightly different perspective and that’s it. Tags: Nintendo, Nintendo Entertainment System - Nintendo Switch Online, review, The Legend Of Zelda, The Legend of Zelda SP – Living the life of luxury!